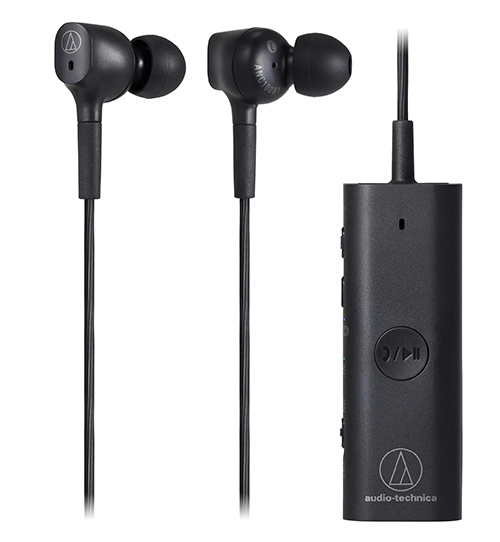 The ATH-ANC100BT QuietPoint® wireless in-ear headphones combine Audio-Technica’s proprietary active noise-cancelling technology with Bluetooth® wireless technology to give you greater freedom and listening pleasure in areas of high ambient noise. 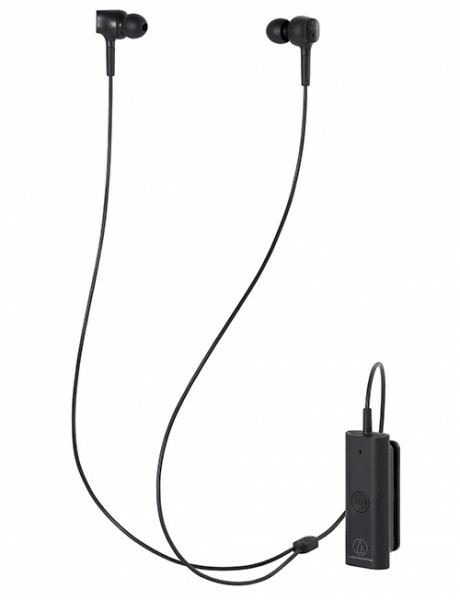 Featuring a convenient pendant-type design with mic and controls, these headphones make it easy to answer calls and control music playback from connected devices. The ATH-ANC100BT headphones are equipped with 12 mm drivers that deliver powerful sound reproduction with exceptional clarity. The drivers are enclosed within compact housings that offer increased comfort over standard in-ear headphones. The comfort and sound isolation are further aided by the inclusion of four sizes of silicone ear tips (XS, S, M, L) and a pair of medium-size Comply™ foam ear tips, allowing you to construct the best fit possible. A 0.6 m (2.0') audio cable with 3.5 mm (1/8") stereo mini-plug is also included to let you use the headphones without a Bluetooth wireless connection if desired. An internal lithium polymer rechargeable battery powers the headphones, giving you approximately 10 hours of continuous Bluetooth and ANC use on a full charge. 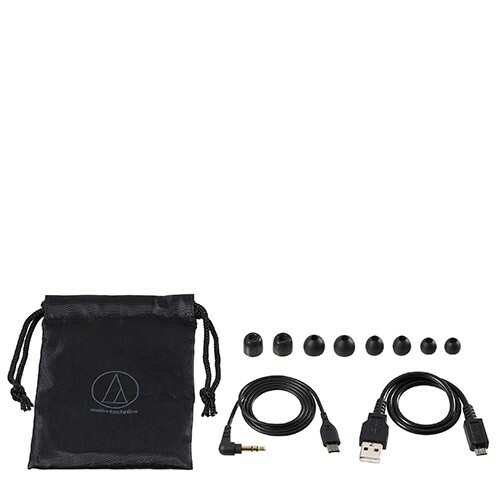 The headphones come with a 30 cm (1') USB charging cable and a protective carrying pouch.